H. Viscount “Berky” Nelson was a mentor, mediator and role model for generations of students during his four-decade career at UCLA. He began his career at UCLA in the late 1960s as director of campus programs and activities during a turbulent period for campuses nationwide. Through the years, Berky could be seen at many student protests, a calming presence at students’ side. Throughout his long career at UCLA, Berky, who was the director of the Center for Student Programming for many years, was the trusted adviser that student leaders, including a long succession of student government leaders, turned to for guidance. For generations of UCLA student athletes, Berky also took on the role of adviser anconfidante. Easing their transition to student life, he helped pave their way to success,both on the field and in the classroom. 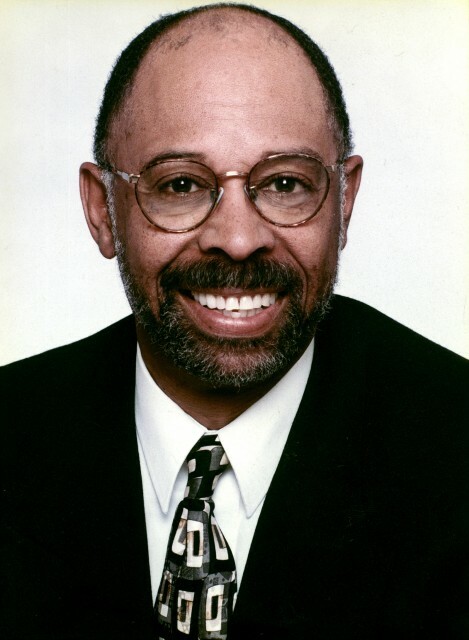 A scholar of American history, Berky taught classes for the Ralph J. Bunche Center forAfrican-American Studies and the Interdepartmental Program in Afro-American Studies. He was also the author of several books on African-American history and leadership. He retired from UCLA in 2014 as director of fraternity and sorority relations.His wife, Joan, was an associate dean of students and worked at UCLA for 30 years. UBAA and others touched by Berky's life have united to create a legacy in raising scholarship funds to be bestowed to deserving African American incoming freshmen majoring in African-American studies in Berky's honor.